In a monthly report, the Organization of the Petroleum Exporting Countries said the world will need 32.05 million barrels per day (mbpd) of crude from its 15 members in 2019, down 130,000 bpd from last month’s forecast. The drop in demand for Opec crude means there will be less strain on other producers in making up for supply losses in Venezuela and Libya, and potentially in Iran as renewed US sanctions kick in. "Healthy global economic developments and increased industrial activity should support the demand for distillate fuels in the coming months, leading to a further drawdown in diesel inventories," it said. Opec and a group of non-Opec countries agreed on June 22-23 to return to 100 per cent compliance with oil output cuts that began in January 2017, after months of underproduction by Venezuela and others pushed adherence above 160 per cent. In the report, Opec said its oil output in July rose to 32.32 mbpd. 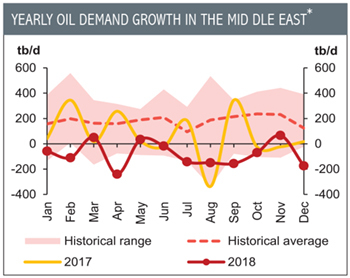 Although higher than the 2019 demand forecast, this is up a mere 41,000 bpd from June as the Saudi cut offset increases elsewhere. 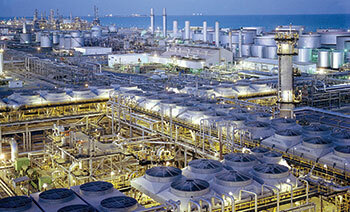 Rapid oil demand that helped Opec balance the market is expected to moderate next year. 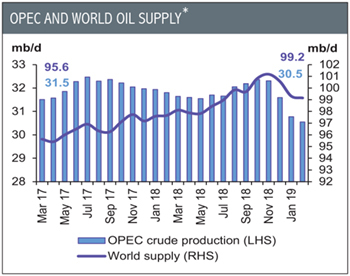 Opec expects world oil demand to grow by 1.43 mbpd, 20,000 bpd less than forecast last month, and a slowdown from 1.64 mbpd in 2018. In July, Saudi Arabia told Opec it cut production by 200,000 bpd to 10.288 mbpd.